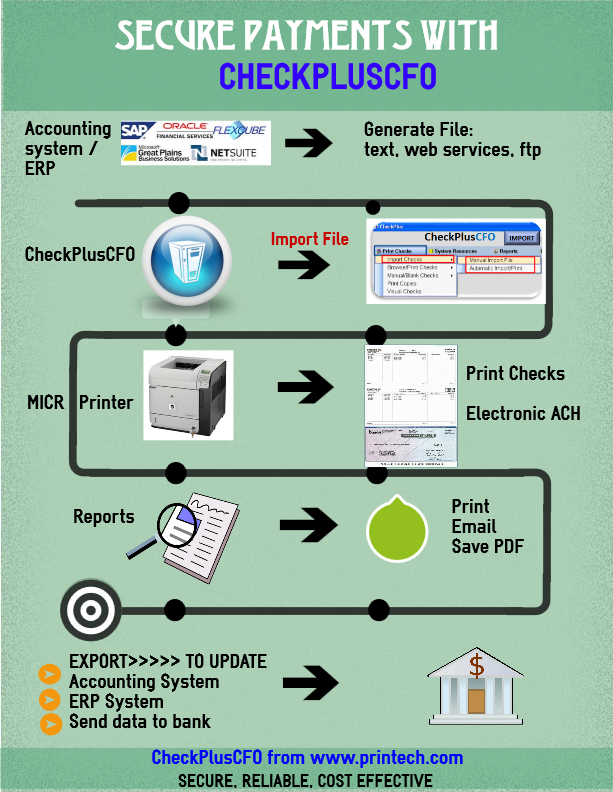 CheckPlusCFO works with your existing accounting system or ERP. We integrate with most systems, including homegrown applications. Schedule demo of CheckPlusCFO today to see how it can improve payment operations in your company.